This ASRock micro-ATX LGA1156 motherboard is one of the cheapest we've seen, and it has some odd but novel features: a Good Night LED? With a loaded BIOS loaded and some interesting overclocking results, we show you what the H55M Pro can do. MSI has applied its lightning technology to the GTX275. We've put it through its paces to see if it can add more pizazz to the equation than the MSI NGTX260 we looked at in July. 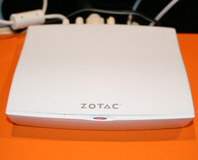 CeBIT 09: While the idea might not be new, this product from Zotac certainly is and controlling a PC over Ethernet efficiently is certainly impressive. Users are reporting major image corruption issues when using the long-delayed Mini DisplayPort to Dual-Link DVI adaptors with their MacBook Pros. No, you're not reading that wrong - Zotac is the first with the new Nvidia integrated graphics chipset for Intel CPUs. We take the potentially popular budget and HTPC platform and give it a work through to see if Zotac can make motherboards just as well as graphics cards. Asus is a company that likes to innovate and its EAH3870 X2 1GB is a great example of innovation. We find out how the Radeon HD 3870 X2 has changed over the last few months - does it still have a place in the market now that Nvidia has released the GeForce 9800 series? 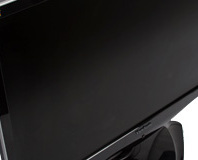 HDMI Licensing hopes to clear up some of the confusion surrounding the technology by issuing a series of new guidelines. 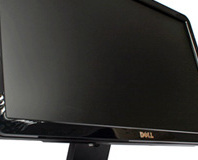 The first monitors to feature DisplayPort connections have been announced by Samsung. VIA's EPIA range goes from strength to strength and the latest upgrade to the EX provides a 1.5GHz CPU, DDR2, DVI and component output on-board, with frugal power requirements compared to anything else on the market. 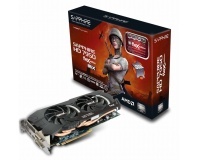 How does it stand up to the mighty AMD 690G chipset? We find out. 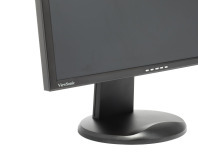 Matrox has entered the digital era with the TripleHead2Go, as it now comes complete with DVI ports and more. We find out if three-way is the way to go. 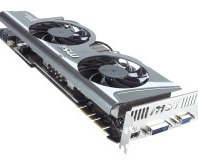 The Sapphire X1950 Pro Dual is a massive card with two X1950 Pro cores in CrossFire on one PCB. We snapped a load of detailed photos for our bit-tech readers. 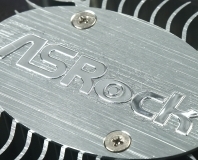 We look at another barbeque... err, I mean, a passively cooled graphics card from Inno3D's iChiLL range. DirectX 10 cards are looming, but does Inno3D do enough to tempt you in the meantime? Read on to find out. CEBIT 2007: MSI was showing off a bunch of G84 and G86 based graphics cards on its stand today. Doesn't look to be long before the release. It's about time, too - the graphics company finally snags gamers with an all-digital version of its three monitor scaler.